The DNA Rose and it activation is the original work of Almine, LLC Spiritual Journeys, www.spiritualjourneys.com. The invocation of 600 mighty winged Beings and their hosts of angels, who bring the pristine coding to unfold the new DNA potentials, was possible during late 2012 and early 2013, when linear time came to an end. This was largely possible through the work of the great mystic Almine. I resonated deeply with what she was teaching when I first encountered her work in 2013, because I had been in search of higher hormones and ways to refine the endocrine system for many years prior. I studied acupuncture in order to explore the 8 extraordinary meridians, known as the masters of the endocrine and the flows of source. In 2013, Almine had begun to receive information on the meridian system, its importance in releasing illusion to allow for DNA repair and activation. The DNA program is foundation to all that will come out in the future, to support embodiment of highest potentials open to us at this time. Other foundational programs that will change your life most profoundly, are the Foundation to the Miraculous Life part 1 and part 2 programs. The body must evolve in order to behold ‘reality’ beyond the illusiory sub-creations that we have dwelled within, through false emotions that begets misinterpretation. 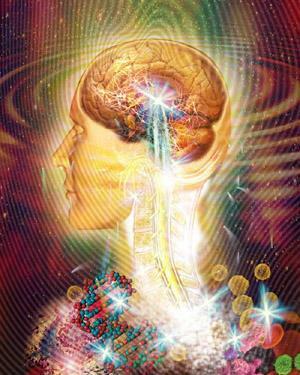 A whole other reality is open to us now that the DNA is revealing a new capacity for inner space and 672 inner senses. One step at a time…. The pineal gland is the master of the senses, and our twelve senses together make up the “I” and the “eye” to behold the cosmos…creation…the Infinite. As we strive for harmlessness or moral being…for innocent perception that sees perfection, we quicken our evolution through ignition of the pineal gland. An ether stream rises from Heart to pineal on our harmlessness. We then are able to tap into the creative power from the Heart of the Mother (the Infinite). At this time in evolution and in order to accelerate awakening, we are being augmented to a significant degree in power and energy of the Heart by our alignment to that which is real, beyond emotion and thinking we know. 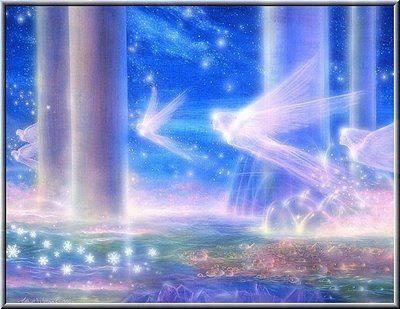 The augmentation of Heart energy is to ensure that those of like light find one another and accelerate in awakening. As the old world crumbles, the momentum to acceleration in the light or toward chaos will become increasingly apparent. No longer can there be power abuses, as the ray of power moves through the Heart only. We are to explore creating from the Heart–from a Field of Hope— and from the reality beyond separation, and that happens when we clear the old misunderstandings and emotional states of separation. Mighty archangels and hosts of angels in service to them have been invoked during 2012, and their mission is to repair and activate our DNA as we become receptive. This program brings in their gifts of healing and evolution, and is continually upgrading to reflect the massive changes to DNA that have been ongoing from 2012-2015. The pineal is the masculine pole of consciousness that has now been seeded with new archetypal intelligences (referred to as the Lion’s Gate). As the pineal ignites, it causes higher hormones to be secreted through the endocrine system–these higher hormones have the potential to support embodiment and expression of our god self. In tandem, the feminine pole of consciousness, encoded in the eight primal cells at the tailbone ignites as we increase in power of freedom. The feminine archetypal powers are encoded in the Rhino’s Horn Gate (this has been revealed through the work of mystic and seer Almine, www.spiritualjourneys.com). Since the appearance of these higher angelic orders that work directly in the DNA, it has become possible to embody the true feminine such that it can merge with the masculine as an equal, in a divine alchemical marriage. There are many steps to get there, and one of them is to repair the DNA. We become free also through the Heart’s surrender, true peace that knows perfection in each moment, and the smiling grateful state of awareness that flows from Heart as forces of renewal through the entire body. Freedom and emancipation from programs becomes a power of the Gut or navel center, and of the blood, and this generates the body power necessary to have the DNA express those higher codes into higher faculties of perception and knowing. As masculine and feminine poles of consciousness begin to operate in synchrony, the mystical gates of the spine activate, and we begin the process of evolving the body of the resurrected being. This is not some far distant reality…it is open to all who strive and are ready to die to the lower ego and the old reality. The old reality is dissolving whether we are ready or not, and so aligning with forward evolution is the most favorable and only option at present. There is so much support for those who strive, and reaching for highest potential will help make the transition to the new reality far more graceful than it might otherwise be. Nothing permanent takes place until it is expressed in DNA and embodied. Only when embodied may we access higher consciousness. Up to now, through manipulation of memory and karma, humanity has been kept in fear and pain, and this apparently has created a magnetic field of distortions around the DNA that is associated with the pain body. Releasing all fear and negativity is key at present. We may live in fearlessness now, because separation has been resolved, and the creational building blocks have changed as a result. Since 2012, it is truly possible to become self-sovereign. The Mighty winged Beings of the DNA bring templates to activate the First DNA Rose that is presently (2014) a 441-petalled organism (as viewed as a cross-section). First steps in accelerated awakening involve DNA repair and clearing the distorted magnetic field of the DNA so that these templates may activated. The DNA Rose has 9 rows of petals–each one associated with a different perspective out of which to live life. You will learn about these perspectives and will be assisted to express them in the course of this powerfully transformative program. Once the first Rose becomes fluid and free of matrices of illusion, then the 2nd Rose of inner space, with its 10 rows and 672 chambers activates, and the two DNA Roses operate as a unified field–a Moebius circuit that fuses inner and outer space, and our environment becomes the expression of our greater self. Space then holds our potential, and fluidly reshapes to our consciousness. I invite you to explore blog posts on the two DNA Roses on the Academy of Fragrance Alchemy. The time of awakening and the miraculous life is here and now. Some posts: Two DNA Roses and the Magic of ….